Bringing up Bella: Don't just feel bad, do something! 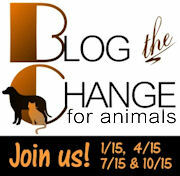 We're participating in the April "Blog the Change for Animals" (BtC4A) campaign. It's a great idea that gives bloggers a chance to make a real difference in the lives of animals using the skills they have: writing, photography and video. And it's that idea, the idea of using the skills you have to make a difference, that I want to talk to you about today. Sometimes I wonder if it's human nature to focus on the negative, the things that are wrong, the things that are bad, the things that overwhelm us and feel too difficult to repair. We see the SPCA commercials, the ones where Sarah McLachlan makes us feel downright suicidal and, wishing things were better but knowing we can't possibly bring another animal into our lives right now, we nod our heads and change the channel. But that's where BtC4A comes in. How many of us have thought about the things we can do to improve the lives of shelter animals? Don't think you have anything to offer? Have you seen this? The point is, we all have something we can do. Don't have money to donate? Maybe the next time you're cleaning out your linen closet, you could take those old sheets and towels to a local shelter? Do you have extra time? You can walk the dogs, play with the cats, clean the kennels. You can make phone calls. Technically savvy and socially engaged? You can blog, you can tweet, you can share stories on Facebook, raise funds or simply awareness. You can talk to (and recruit!) your co-workers and friends. Hang a rescue calendar on the wall of your office or cube then just wait and see how many conversations come from it. Are you good with a camera? Maybe your local shelter or rescue could use someone to take pictures of the pups that would make them more appealing to someone looking for a new dog? Do you have a car? Every week, dogs and cats are rescued from high-kill shelters and driven to safer havens. You don't have to have a big SUV to participate. Get on the mailing list and just sign up for the animals you can fit - someone else can take some of the others. The more people on the list of volunteers, the more flexibility the transport coordinator has to make the route work. 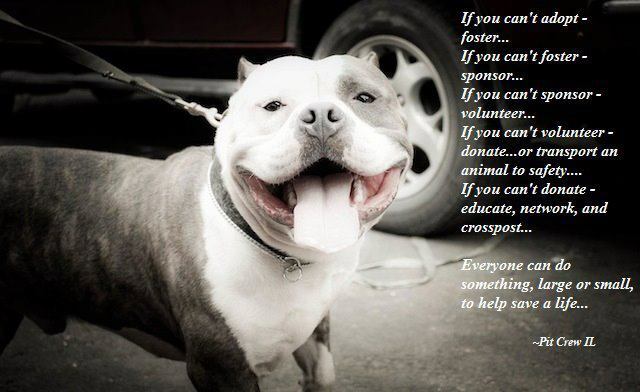 Sure, shelters and rescues need money and they need fosters and forever homes but they also need volunteers. They need people willing to man booths promoting the organization at local festivals, to handle the dogs at "meet the dogs" events, they need people to keep their websites up to date, to screen applicants, to visit prospective adopting families, to move dogs from a shelter to their new foster homes. And of course, they need volunteers to walk, train and socialize the dogs, cats, bunnies and other critters that find themselves out of a home. Landing in a shelter doesn't have to be the worst thing to happen to an animal. In fact, if that animal finds itself a new home with a family that truly wants them and promises to love and care for them for the rest of their lives, it could turn out to be the very best thing possible. To everyone who gives a little of their time, a little of their heart, a little of themselves to make the world a better place for animals, thank you. Wonderful advice! There's always something that we can do to make a difference (and Bella is a very lucky dog indeed!). Where do I start...I agree, it was a little bit depressing. I'm not sure in what blog I read about making posts of rescue animals interesting (pointing out what made them special) rather than pointing the gun at potential owners saying "TO BE EUTHANIZED IN 24 HOURS" and stuff like that. Anyway, my newest accomplishment was signing a petition to end a pitbull ban ^^. All awesome ideas! Great blog the change post. Thanks for sharing. You and I were on the same page, it seems! My post was also about finding some way to help that is a good fit... I agree that there's something out there for everyone. Absolutely fantastic post! Beautiful post! And if you don't find what you need/want with one organization, then check out another! I love the thought that ending up in a shelter isn't the worst thing for a dog. It's so true. Before my dog Shiva ended up at the shelter she was living as a stray on the street. Our home may not be perfect but I think her going to the shelter probably saved my dog's life. I know it saved mine. What wonderful advice! My mom has her own Bella, who went through 5 foster homes before finally making it to her forever home. And my dog growing up came from a shelter, and she lead a wonderful doggy life after we adopted her. Shelters aren't the worse places, and there are so many things we can do to make that time there better! Thank you so much for this post! Question: do you have any information on getting involved in the transports? I would love to learn about this! Oh good grief - you're in Massachusetts - that makes this easier. ;) Transport is mostly what I do (other than web stuff and photo ops) so I hope I can give you a real quick primer here. Alternatively, you can scope some of your local rescues and see what volunteer opportunities they have for transport. I volunteer with 2 breed rescues in the area but I found they weren't really keeping me busy enough which is when I found PttR and started volunteering with them. Anyway, the way I got involved with the breed rescues was to basically find an email address of the group I wanted to volunteer with on their web site and offered my services. They put me on a list and when they have a dog that needs to be moved somewhere, they send an email to the list. If I can do it, I offer, if not, I know someone else probably will. As for the "rules", each group has their own so your best bet is to check with them. Some require a crate but most just request you have a way to secure the dog in your car (often dogs in transport are escape risks.) There are a lot more restrictions for dogs traveling in and out of state so be prepared for some strange requests (like puppies under a certain age can't touch the ground, sterilizing all hard surfaces with bleach before and after... stuff like that.) Again though, that'll vary on the specifics of the situation. Thanks! I'm still discovering the ways we can help - it's never-ending, it seems. Congratulations on your newest accomplishment! I do get distressed and depressed seeing all the "urgent" posts although I've written a few myself. It can be overwhelming and doesn't work with everyone but it does work for some which is why it continues. There is a push lately however to bring a more light-hearted approach to rescue. I think it depends on the audience. If you're going for the average pet owner, we need to go 'happy and peppy and bursting with glee'. If you're targeting the rescue community, you need to let them know which cases are urgent and which are not so they can make quick decisions and rally the troops so to speak. Looks like a lot of folks were on the same page this time. It's good - the better we figure out what works for us, the more likely we are to continue doing it. I really appreciated your suggestion of trying more than one rescue if the first doesn't work for you, too. That's important. We've made a lot of mistakes with Bella but ending up in even a ramshackle shelter like the one that rescued her was miles ahead of where she came from. Great post, Leslie: encouraging and practical. And I agree, shelters don't have to be horrible places for dogs to end up. Being well-fed and cared for by kind staff and volunteers is much better than dodging cars and scrounging for food. How true! We rescued both Toby and Sage from a shelter. Toby had the worst beginning, but he had a good life for the remaining 11 years. Thanks for your sweet comment yesterday about Toby. We'll sure miss him...he was my best friend for many years. You've provided an expansive list of ways people can do something on behalf on animals - there's definitely no excuse for not doing something! Thank you, Leslie - you epitomize the core values of BetheChangeforAnimals, with your commitment, dedication, and selfless giving on behalf of animals in need. Thanks a bunch for the extra suggestion - your mom is right, clipping coupons takes a bit of time and can save people who want to donate items a good deal of money! What a great tip! 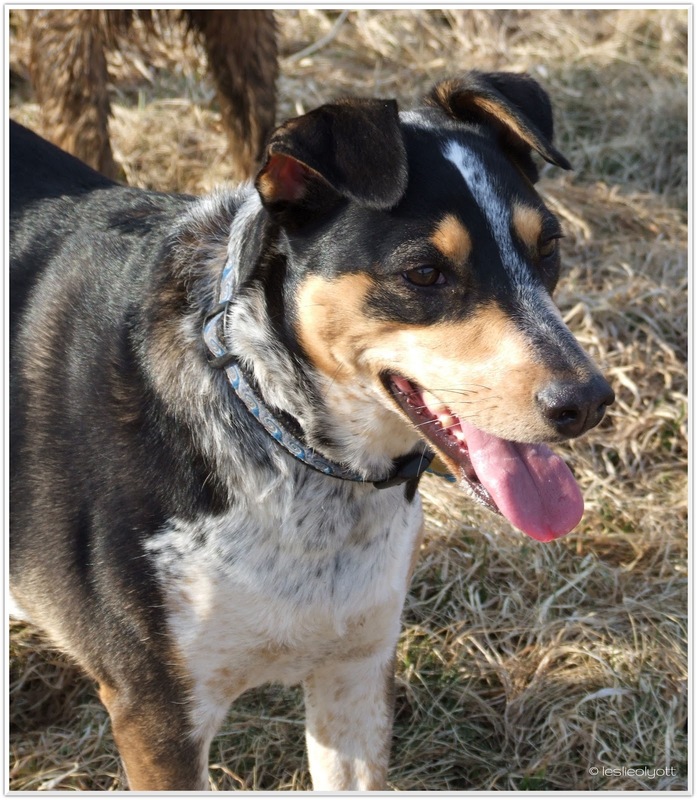 Toby and Sage have both been lucky to find such a good and caring family for their "second" lives. Still thinking of you and yours during this difficult time. Thanks, Kim. The kind words are appreciated. that graphic is probably my all-time favorite image related to rescue/volunteering. i completely agree with the sentiment, and i wish more folks understood that there really is so much they can do to help. Yeah, it's one that stuck with me as well. It's so easy to say "I can't" but the graphic is a reminder that we can all do something.